On my days, I have just checked my little archive and seen exactly how long it is since I last posted on here. I know I’ve been busy with Postgrad applications, but still! I could do a quick whizz round the latter part of 2012 and try to cover the various exhibitions and arty goings-on, but really I think time would be better served just keeping on top of the present! So the next few weeks are going to include Nick Evans at Tramway, Easy Does It at David Dale, and a little jaunt to Edinburgh, to name but a few. 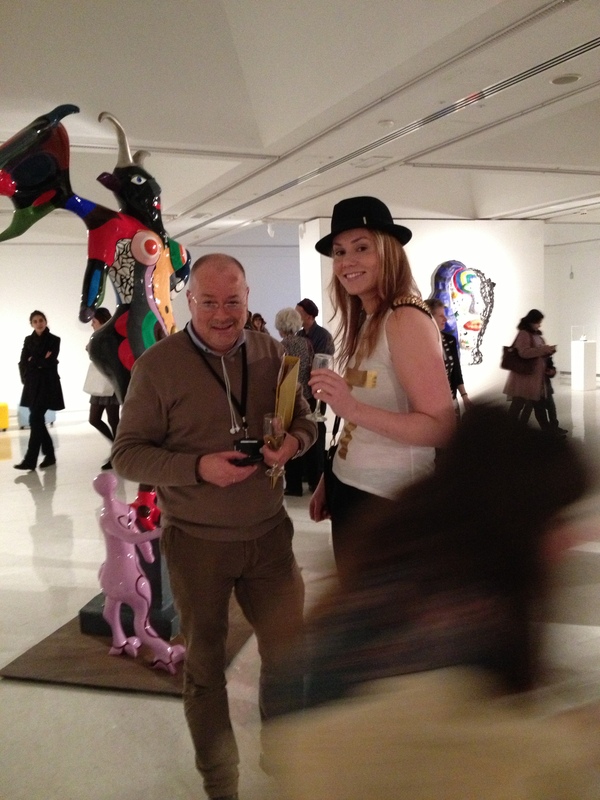 To round off on a good vibe, here’s a snap from the Niki de Saint Phalle opening at GoMA in November. The theme was headgear, which coming straight from work meant a fedora for me, not madly exciting!